Very highly detailed virtual cockpit and exterior models. 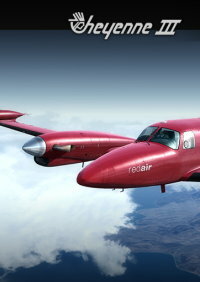 Everything is based off of the real airplane and was tested by actual CRJ pilots to make it as realistic as possible. The support team has continuously uploaded updates listening to the customers bugs. A absolute 5 Star product, and must have! Still rough around the edges, but its worth it if you're a fan of the crj. Had this aircraft from Day 1. Very good representation of the real aircraft. Not study level, but was never meant to be. easy to get set up , out of the gate and in the air. However it is an aircraft that you must pay attention to while flying. Aerosoft is good about correcting bugs and there is a very good forum for information. Updating my previous review. 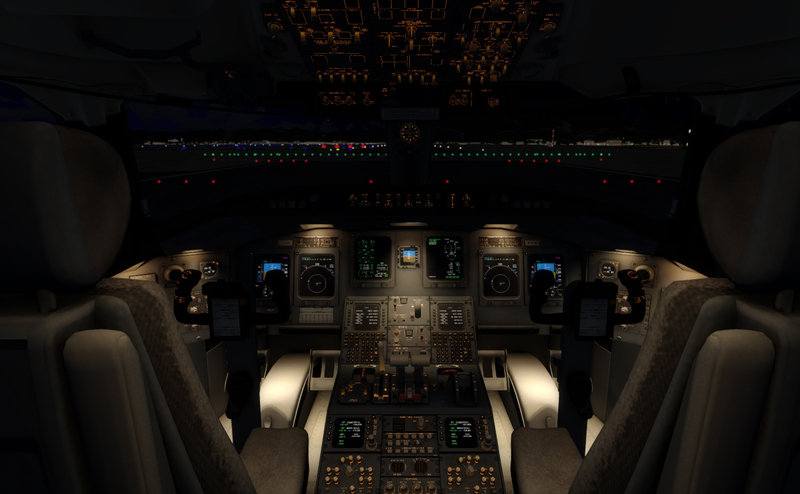 Now that Aerosoft has fixed the NAV issues for me, much happier. Is it perfect? I would imagine there will be a couple more updates before that happens but they have gotten much closer. Easy on frame rates, hand flies well, and sounds are improved. I bought this beautiful add-on directly at Aerosoft. I've been using it for some time on p3d v4 and honestly find it to be great! It's a different plane than others and in fact I had to study the manuals (done very well) and now I am having a lot of fun. I would recommend it to all the lovers of the regional jet. Oh how I wanted this plane and wanted it to be great. While the modeling is very nice, it continues to plagued with issues. For example, if you import a flight plan, you can't select all the runways in the FMC. You have to manually enter the waypoints. Also, for some reason, the trim will trim nose up for no reason. Issues following the FMC seem to have been largely fixed. But overall, the bugs seem to still be problematic and I've heard very little about another update. 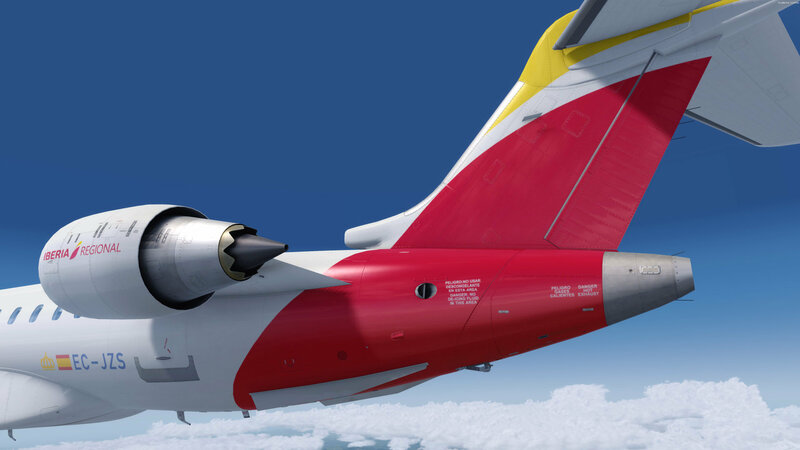 I'm still flying it but not near as good a plane as Aerosoft's A320 product. Finally !!!! 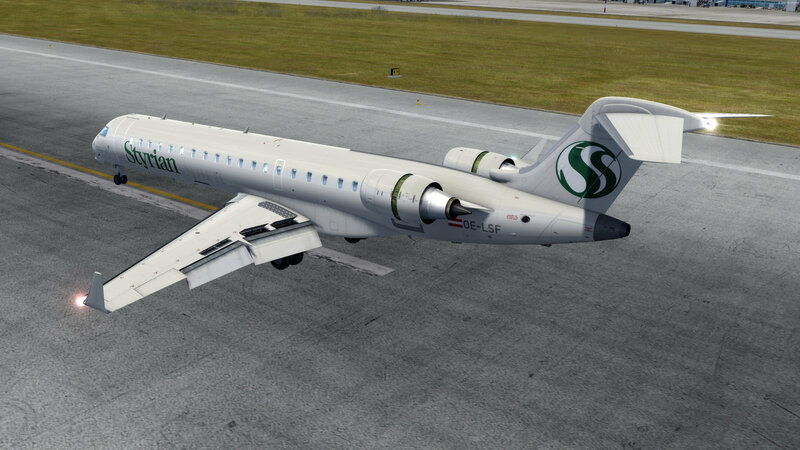 After 8 years of development, at long last we have a worthy competitor to the Feelthere ERJ and E-Jet Regional Jet series. 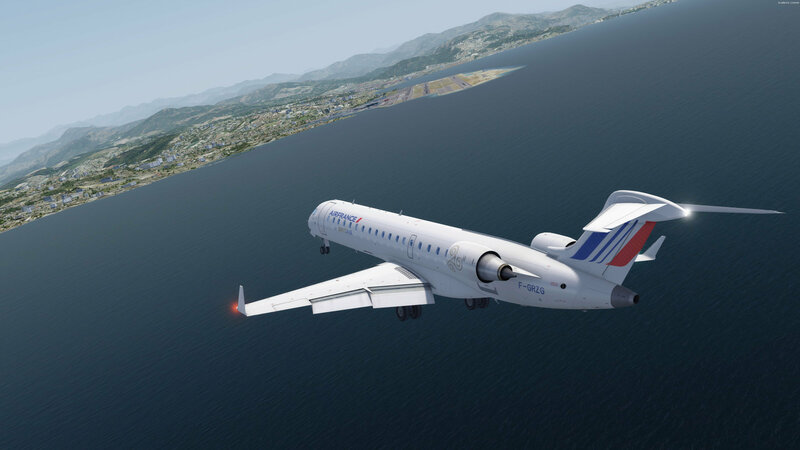 The Aerosoft/Digital Aviation CRJ 700/900 was definitely worth the wait. First up: The developers issued two updates to the add-on immediately after release (and a couple more since then). One the day after the release, the next, the following day. That said, the plane was still perfectly flyable without the patches. Just want to point out that they are still shaking out some minor bugs. The cockpit is spot on. High res 4K textures. Just about everything is simulated. The documentation is complete and thorough, including a tutorial flight. Its a 1 Gig installer, that you can install for Steam and P3D. The best thing about this addon: Dave. Dave is the name of the iPad tablet that is mounted next to the pilot and copilot in the virtual cockpit. From here you can customize aircraft options (Lbs, vs Kg, inches of Mg, vs Millibars, etc). 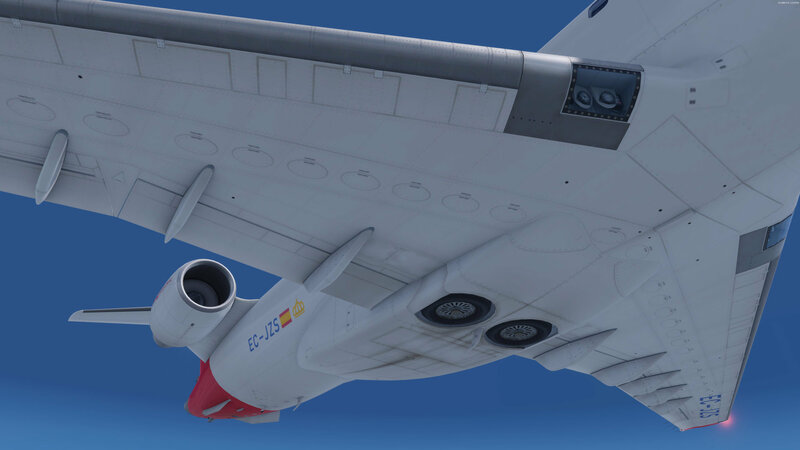 You can also use Dave to load the aircraft fuel, passengers and cargo. Dave also has all the checklists for all phases of flight. Included in this package is a desktop load manager app that does some of the stuff that Dave does, and a few other things. Unlike other add-on load managers, this one you have to have the sim running with the aircraft loaded in order to use it. Finally, the plane is fun to fly. Very stable. Won't freak out when you up the sim rate to x8 or x16. Also, it doesn't have an autothrottle, you need to manage the vertical profile yourself. That said, there are a handful of kinks. It's a bit off when tracking the flight path in autopilot. Also, when riding the ILS to the runway, be advised... its a bit off to the right.. not recommended for low visibility ILS approaches. I wish the engine sounds were more robust, and a virtual cabin would be nice. Overall, this is an outstanding add-on, definitely worth the price. Feelthere (and I'll give a nod to VirtualCol) is no longer the only Regional Jet outfit in town. 4/5-Stars. Not bad at all, easy to operate. Operating manuals very detailed. -Yoke which can't be hidden and QUITE obstructing, xtremely annoying. -All twisted panels which give me STIFF NECK ! Can't understand what's behind it but I'm not the developer. flies ok. nothing strikes me as being wrong with how it handles. Appearances are deceiving. Lots of stuff not modelled, dummy switches and buttons throughout or just stuff that doesnt work? can't tell at this point, dont even care anymore. Completely broken FMS. It cannot follow a flight path to save its life. Still not fixed after 6? patches. no utility to create flight plans and they refuse to give us one! they used the airbus format and changed it some so its not compatible wit that. WHY? because incompetence thats why. BLURRY low res 2005 textures! This is a 8 year old addon and it shows. They didnt update the graphics before release to new standards. Displays are BLURRY as well. can't really read anything unless you pop them up. And im on a 32" monitor. cant hide the yoke. yes it obsctucts some display controls. sounds are pretty stale, repetative, no immersion. just background loop droning in at all times (equip cooling/wind noise). same tone, no variation at all states of flight. 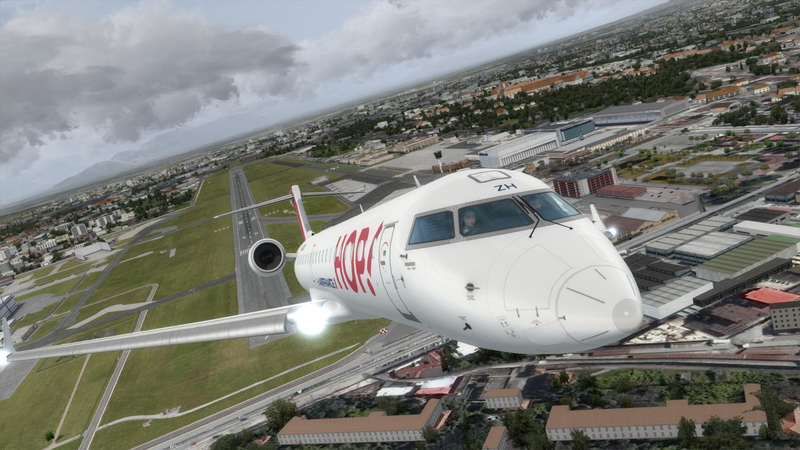 I like Aerosoft and I buy a lot of what they distribute but this CRJ is a lemon! It has a lot of annoying bugs such as the FMS not following the flight path, ctd's, slow refreshing gauges. It also has lackluster VC Graphics and a weak soundset IMO. Maybe it'll get better with time and patches but the support staff seems to be very defensive on their forums locking threads blaming users etc. very uncharacteristic from what I've seen in the previously. I gave it a star because it does hand fly nice and one more for potential. Running version V1005 on P3dV4. It was definitely worth the wait. Good sounds, visuals, and textures. I know there are some issues at the present moment but the AS CRJ works great. There are a few differences from JR CRJ 200, ei, the NW switch that actually moves in the AS CRJ 700/900, startup and shutdown procedures are different to each aircraft. One thing I noticed is the fuel in the CRJ manager does not produce the accurate amount of fuel at times so some additional fuel is require via taxi or holding fuel section. This aircraft is very immersive and fun to fly. 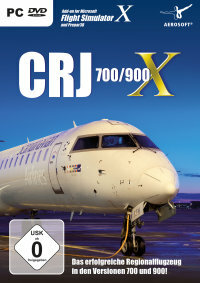 Ok. After over 2 years of waiting, the CRJ 700/900 has arrived. I must say it is an impressive aircraft. This is truly a study level aircraft at the least. 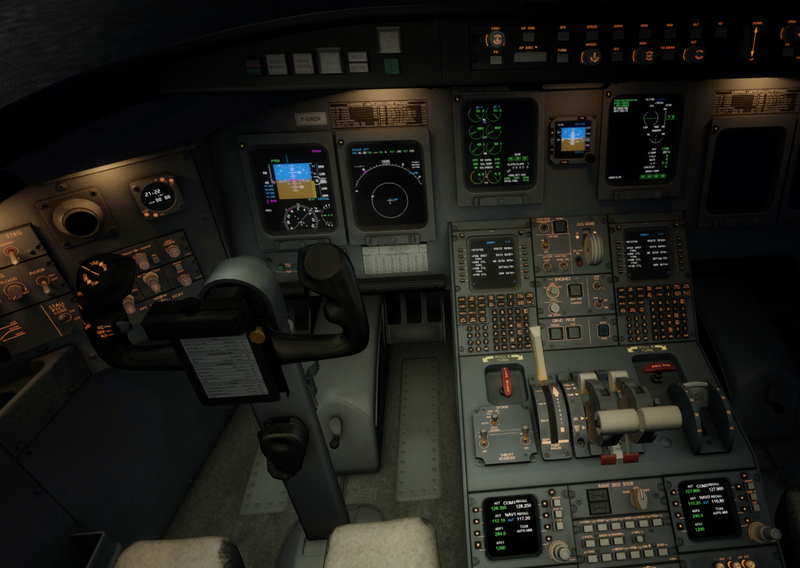 It is on the level of Aerosoft Airbus 320? I would say not quite, but not far off at all. My biggest concern is the simulation is NOT compatible with Saitek’s Multi-panel nor does it work with my VRInsight MPC II panel. The message boards suggest there is someone working on a module for LINDA program to be used with the VRInsight MPC II, but I have heard nothing official. You are going to need to put some time into this aircraft if you want to be doing it right. Chase plane or EZDOK pre programmed views will also be a great assistance to you. 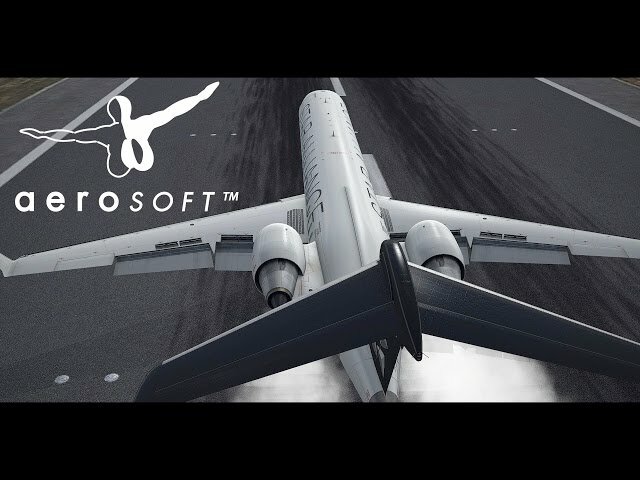 Aerosoft's CRJ was one of the most highly anticipated aircraft products on my to-buy list and it was no question whenever it appears at Simmarket, will be a day one purchase. And so it happened. 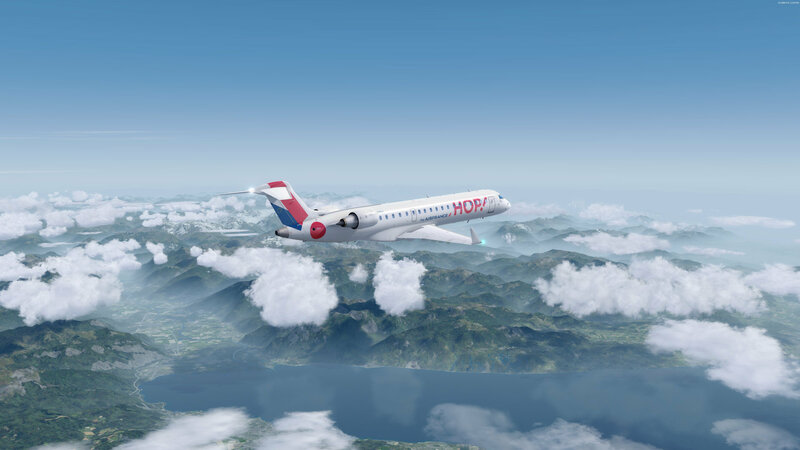 Knowing that the CRJ has been in the making for seven long years I can't deny the fact I had really high hopes and expectations for this one and knowing Aerosoft is a company that has the resources to deliver stunning stuff I was pretty much confident it will blow my mind. 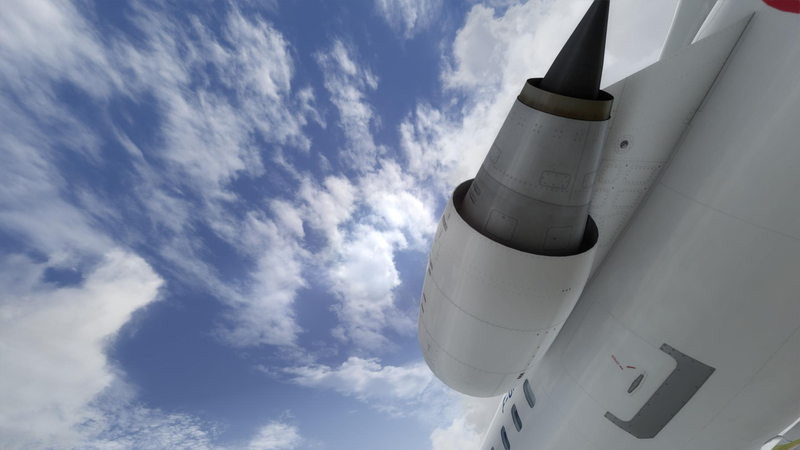 Installation is as simple as it can be, the usual Aerosoft installer, takes no time to get the CRJ up and running.  Let'see the bird now! As much as I wanted it, my enthusiasm rapidly declined after loading the aircraft for the first time. I did not want to believe my eyes when I beheld the low resolution virtual cockpit textures. Meanwhile the 3D modelling inside-outside as well as the exterior texturing are all top notch, the VC textures are a complete letdown, looking cheap and plastic - one would perhaps accept them in 2010 when they first announced the aircraft but it's definitely not enough in 2017. The resolution of the display fonts is also something that needs significant improvements. Although the screens themselves are relatively small thus makes it harder to get them readable, still the CRJ is not the only aircraft with tiny displays and others somehow managed to successfully overcome this obstacle. Clicking on each display, one can call for the respective 2D pop-up window, which, however, provides crisp fonts and graphics. Then the sounds. This aircraft does not sound good. It's not outright bad but is way too shallow, lacking that energetic punch that other products of even lower price range, deliver successfully to the user's speaker or headset. Many buttons and switches have no click sounds associated with them, resulting in a kind of lifeless, dull flight deck. Those switches and buttons and levers and whatnot scream for sounds. And I can't look away from the fact how long the development cycle has been - where did all the sounds go? As for the exterior textures, they are superb, looking at the CRJ from the outside is a feast for the eyes. As said earlier, the 3D model is excellent making this jet one of the finest looking currently available, certainly matching the level of other well known products. The lack of improved ground physics is kind of sad but the developers are still looking at ways tweaking it which is promising. 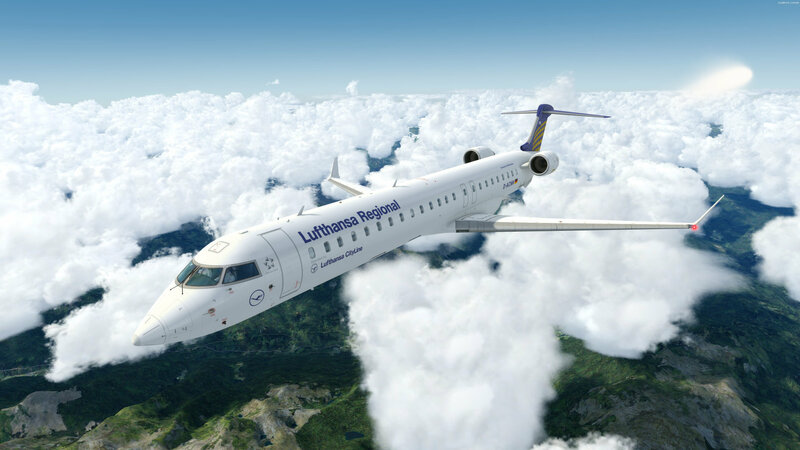 As for systems modelling, the Aerosoft CRJ is not your study level aeroplane but systems wise it's more complex than their last version of the Airbus, just for a quick comparison. It is a robust and stable product and I had no issues at getting it in the air, the code works like a cham, it's straightforward and logical. This isn't a surprise though knowing it's Hans Hartmann behind the programming of the jet and he did a very good job (again). You get your external CRJ tool which allows for fuel and load management and much more but you can even live without it by using the on-board tablet computer they named "Dave" which also enables the user to manipulate passenger figures, cargo and fuel - as well as numerous options and functions can be found there. It would be a nice touch to make this tablet computer optional so that the user can hide it as it is (in a way) fictional and die hard simmers may not want to see imaginary equipment in their cockpit. If it could be made so that it can be displayed or hidden would harm no one - I am sure it's not that too difficult to achieve. 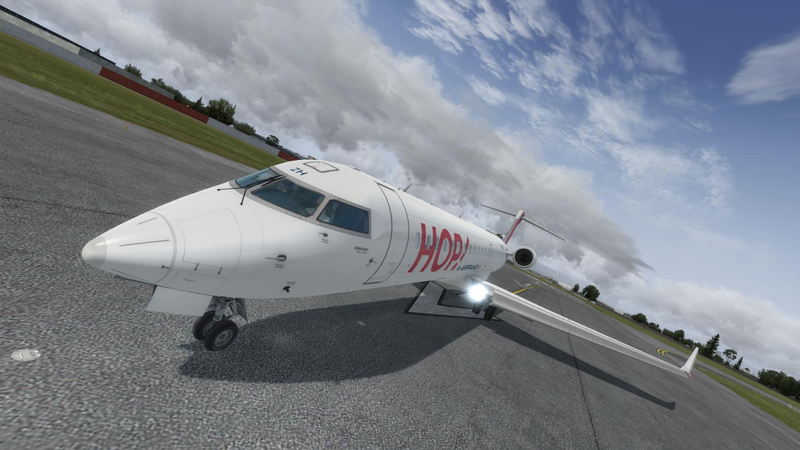 Handflying the CRJ is a pleasure, very responsive and feels natural. The manuals and tutorials are clear and concise and answer whatever questions you have - make sure you read them, it's not a difficult material to struggle through, even quite enjoyable. I would happily give this one four stars but the ugly virtual cockpit textures, the unreadable fonts and the lifeless sounds simply destroy the immersion. Also the product is not on the cheap side, at this price tag I would expect crisp textures and immaculate sounds, which is unfortunately not the case. Nevertheless those of you who fancy the type will surely find ways to fall in love with the CRJ and I am sure the above mentioned key issues will be looked into and addressed in future updates - which will catapult this aircraft to a much higher class. For now, I can't wholeheartedly praise it - in 2017 this is not enough value for the money. Let's hope Aerosoft gets these sorted, sending us the missing "wow factor" so that this otherwise very interesting and adorable product can take the place it truly deserves after being developed for such a long time. Hell of a wait, but it was worth it. It's by no means a study-level sim, but it's also not a "lite" aircraft sim either. It bridges both worlds nicely. 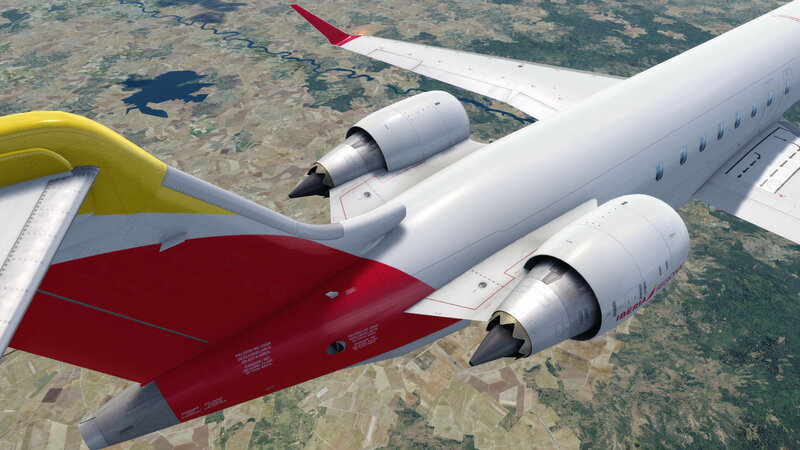 Whatever you feel about Aerosoft, they did a fine job with this bird. It's a solid addition to your hanger. at said, there are a handful of kinks. It's a bit off when tracking the flight path in autopilot. Also, when riding the ILS to the runway, be advised... its a bit off to the right.. not recommended for low visibility ILS approaches. I wish the engine sounds were more robust, and a virtual cabin would be nice. Overall, this is an outstanding add-on, definitely worth the price. Feelthere (and I'll give a nod to VirtualCol) is no longer the only Regional Jet outfit in town. 4/5-Stars. Not bad at all, easy to operate. Operating manuals very detailed. 2 main concerns, as far as I'm concerned : -Yoke which can't be hidden and QUITE obstructing, xtremely annoying. -All twisted panels which give me STIFF NECK ! Can't understand what's behind it but I'm not the developer.